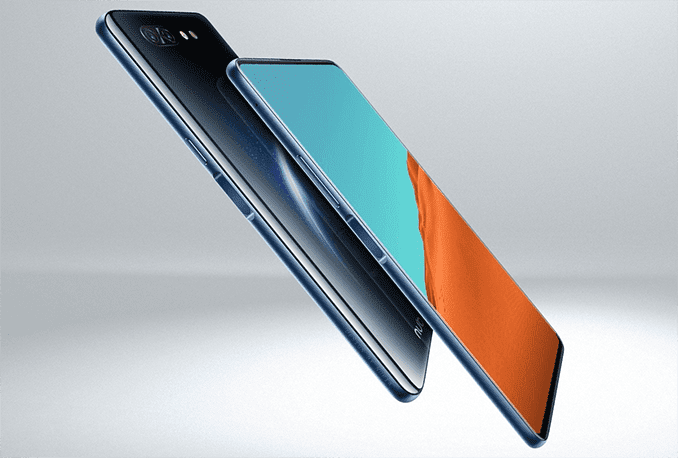 ZTE Nubia X VS Xiaomi Redmi Note 6 Pro: Will You Choose Camera Over Performance? The ZTE Nubia X still remains a powerful flagship phone with a bezel-less display and a beautiful body design. The phone sports a decent camera arrangement on the back but apparently, lack a front-facing camera. 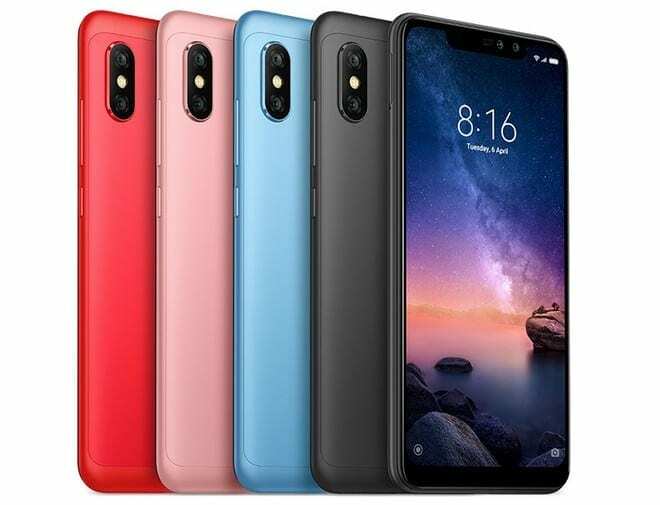 The Xiaomi Redmi Note 6 Pro is an affordable smartphone with a nice body design and an impressive four cameras set-up. It also has enough inbuilt memory with RAM to keep the performance smooth. In this article, we will be looking at the comparison between the ZTE Nubia X and the Xiaomi Redmi Note 6 Pro. The ZTE Nubia X features the combination of Aluminum Alloy and glass, while the Xiaomi Redmi Note 6 Pro is built with Aluminum Alloy only. Both phones have a smooth panel with dual camera and LED flash. The ZTE Nubia X has a side mounted fingerprint scanner with body protection and it’s available in Blue gold, Sea blue, Black gold, and Deep gray. The Xiaomi Redmi Note 6 Pro has a rear-mounted fingerprint scanner and is available in Gold, Blue, Black, and Rose-Gold colors. The ZTE Nubia X comes in two display size of 6.26 inches IPS, LCD FHD+ | 5.1-inch OLED, HD+ under IPS, LCD + OLED capacitive touchscreen with resolution of 2280 x 1080 Pixels, 24 bit color depth | 1520 x 720 Pixels and 403 PPI density, while the Xiaomi Redmi Note 6 Pro has a screen size of 6.26-inches FHD+ under IPS, LCD capacitive touchscreen with resolution of 1080 x 2280 Pixels and 403 PPI density. They also have a corning gorilla glass 3 covering the entire screen and on the overall, the ZTE Nubia X has a higher screen to body ratio. The ZTE Nubia X has dual rear cameras of 16 Megapixels + 24 Megapixels with dual LED flash and it supports 2K video recording, while the Xiaomi Redmi Note 6 Pro has a dual rear camera of 12 Megapixels + 5 Megapixels with dual LED flash as well. On the front, the ZTE Nubia X has no selfies camera, it’s only the Xiaomi Redmi Note 6 Pro that has another dual front-facing camera of 20 MP + 2 MP with Face Recognition. On the camera, the Xiaomi Redmi Note 6 Pro has the point. The ZTE Nubia X packs the latest Qualcomm Snapdragon 845 chipset with an 8-core processor that clocked at a speed of 2.65 GHz, while the Xiaomi Redmi Note 6 Pro packs Qualcomm Snapdragon 636 chipset with an 8-core processor that clocked at a speed of 1.8 GHz. The ZTE Blade X has Qualcomm Adreno 630 chipset with 6GB/8GB RAM and an inbuilt memory of 64GB/128GB/246GB. Meanwhile, the Xiaomi Redmi Note 6 Pro sport a Qualcomm Adreno 509 GPU with a backup of 3GB/4GB RAM and an inbuilt memory of 32GB/64GB which is expandable with micro SD card. Both phones run on Android 8.0 Oreo operating system with support for Dual SIMs and other regulars. The ZTE Nubia X has a nonremovable battery capacity of 3800 mAh with fast charging technology, while the Xiaomi Redmi Note 6 Pro has a nonremovable battery capacity of 4000 mAh with fast charging technology as well. The ZTE Nubia X will cost starting from $482, while the Xiaomi Redmi Note 6 Pro will sell starting from $180. In terms of design and performance, the ZTE Nubia X had the point, but in terms of battery and camera, the Xiaomi Redmi Note 6 Pro wins. It’s not just a matter of choosing between performance and camera, it’s also a matter of choosing between a budget phone and a flagship device. So if you have the money and you want a phone that will deliver in terms of performance and you are not a selfie addict, then you should go for the ZTE Nubia X, but if you want a budget device that has it all, then the Xiaomi Redmi Note 6 Pro will be your best bet.